Influenza A viruses have infected many different animals, including ducks, chickens, pigs, whales, horses, and seals. However, certain subtypes of influenza A virus are specific to certain species, except for birds, which are hosts to all known subtypes of influenza A. Subtypes that have caused widespread illness in people either in the past or currently are H3N2, H2N2, H1N1, and H1N2. H1N1 and H3N2 subtypes also have caused outbreaks in pigs, and H7N7 and H3N8 viruses have caused outbreaks in horses. Influenza A viruses normally seen in one species sometimes can cross over and cause illness in another species. For example, until 1998, only H1N1 viruses circulated widely in the U.S. pig population. However, in 1998, H3N2 viruses from humans were introduced into the pig population and caused widespread disease among pigs. Most recently, H3N8 viruses from horses have crossed over and caused outbreaks in dogs. Influenza A viruses have eight separate gene segments. The segmented genome allows influenza A viruses from different species to mix and create a new influenza A virus if viruses from two different species infect the same person or animal. 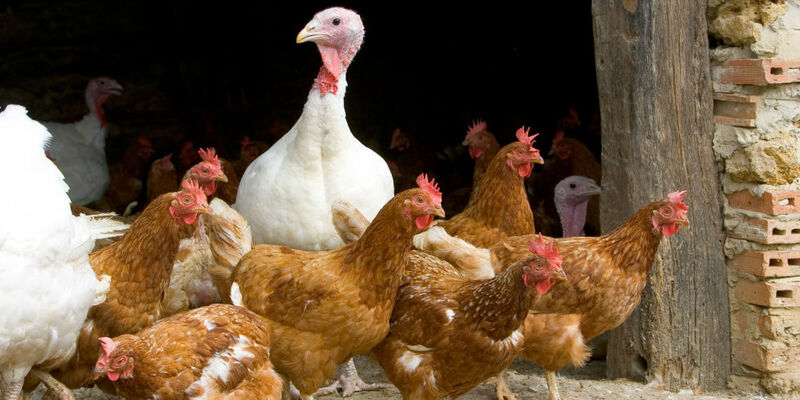 For example, if a pig were infected with a human influenza A virus and an avian influenza A virus at the same time, the new replicating viruses could mix existing genetic information (re-assortment) and produce a new virus that had most of the genes from the human virus, but a hemagglutinin and/or neuraminidase from the avian virus. The resulting new virus might then be able to infect humans and spread from person to person, but it would have surface proteins (hemagglutinin and/or neuraminidase) not previously seen in influenza viruses that infect humans. This type of major change in the influenza A viruses is known as antigenic shift. Antigenic shift results when a new influenza A subtype to which most people have little or no immune protection infects humans. If this new virus causes illness in people and can be transmitted easily from person to person, an influenza pandemic can occur. It is possible that the process of genetic re-assortment could occur in a human who is co-infected with avian influenza A virus and a human strain of influenza A virus. The genetic information in these viruses could re-assort to create a new virus with a hemagglutinin from the avian virus and other genes from the human virus. Theoretically, influenza A viruses with a hemagglutinin against which humans have little or no immunity that have re-assorted with a human influenza virus are more likely to result in sustained human-to-human transmission and pandemic influenza. Therefore, careful evaluation of influenza viruses recovered from humans who are infected with avian influenza is very important to identify re-assortment if it occurs. Although it is unusual for people to get influenza virus infections directly from animals, sporadic human infections and outbreaks caused by certain avian influenza A viruses and pig influenza viruses have been reported. These sporadic human infections and outbreaks, however, rarely result in sustained transmission among humans. Although avian influenza A viruses usually do not infect humans, several instances of human infections have been reported since 1997. Most cases of avian influenza infection in humans are thought to have resulted from direct contact with infected poultry or contaminated surfaces. However, there is still a lot to learn about how different subtypes and strains of avian influenza virus might affect humans. For example, it is not known how the distinction between low pathogenic and highly pathogenic strains might impact the health risk to humans. Because of concerns about the potential for more widespread infection in the human population, public health authorities closely monitor outbreaks of human illness associated with avian influenza. To date, human infections with avian influenza A viruses detected since 1997 have not resulted in sustained human-to-human transmission. However, because influenza A viruses have the potential to change and gain the ability to spread easily between people, monitoring for human infection and person-to-person transmission is important. •H5N1, Hong Kong, Special Administrative Region, 1997: Highly pathogenic avian influenza A (H5N1) infections occurred in both poultry and humans. This was the first time an avian influenza A virus transmission directly from birds to humans had been found. During this outbreak, 18 people were hospitalized and six of them died. To control the outbreak, authorities killed about 1.5 million chickens to remove the source of the virus. Scientists determined that the virus spread primarily from birds to humans, though rare person-to-person infection was noted. •H9N2, China and Hong Kong, Special Administrative Region, 1999: Low pathogenic avian influenza A (H9N2) virus infection was confirmed in two children and resulted in uncomplicated influenza-like illness. Both patients recovered, and no additional cases were confirmed. The source is unknown, but the evidence suggested that poultry was the source of infection and the main mode of transmission was from bird to human. However, the possibility of person-to-person transmission could not be ruled out. Several additional human H9N2 infections were reported from China in 1998-99. •H7N2, Virginia, 2002: Following an outbreak of H7N2 among poultry in the Shenandoah Valley poultry production area, one person was found to have serologic evidence of infection with H7N2. •H5N1, China and Hong Kong, Special Administrative Region, 2003: Two cases of highly pathogenic avian influenza A (H5N1) infection occurred among members of a Hong Kong family that had traveled to China . One person recovered, the other died. How or where these two family members were infected was not determined. Another family member died of a respiratory illness in China, but no testing was done. •H7N7, Netherlands, 2003: The Netherlands reported outbreaks of influenza A (H7N7) in poultry on several farms. Later, infections were reported among pigs and humans. In total, 89 people were confirmed to have H7N7 influenza virus infection associated with this poultry outbreak. These cases occurred mostly among poultry workers. H7N7-associated illness included 78 cases of conjunctivitis (eye infections) only; 5 cases of conjunctivitis and influenza-like illnesses with cough, fever, and muscle aches; 2 cases of influenza-like illness only; and 4 cases that were classified as “other.” There was one death among the 89 total cases. 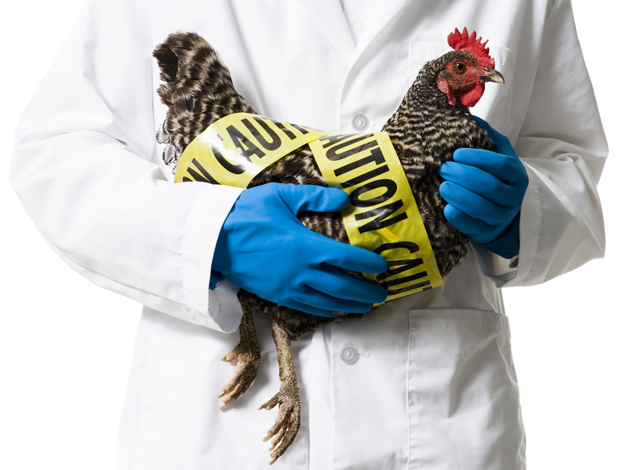 It occurred in a veterinarian who visited one of the affected farms and developed acute respiratory distress syndrome and complications related to H7N7 infection. The majority of these cases occurred as a result of direct contact with infected poultry; however, Dutch authorities reported three possible instances of transmission from poultry workers to family members. Since then, no other instances of H7N7 infection among humans have been reported. •H9N2, Hong Kong, Special Administrative Region, 2003: Low pathogenic avian influenza A (H9N2) infection was confirmed in a child in Hong Kong. The child was hospitalized and recovered. •H7N2, New York, 2003: In November 2003, a patient with serious underlying medical conditions was admitted to a hospital in New York with respiratory symptoms. One of the initial laboratory tests identified an influenza A virus that was thought to be H1N1. The patient recovered and went home after a few weeks. Subsequent confirmatory tests conducted in March 2004 showed that the patient had been infected with avian influenza A (H7N2) virus. •H7N3 in Canada, 2004: In February 2004, human infections of highly pathogenic avian influenza A (H7N3) among poultry workers were associated with an H7N3 outbreak among poultry. The H7N3-associated, mild illnesses consisted of eye infections. •H5N1, Thailand and Vietnam, 2004, and other outbreaks in Asia during 2004 and 2005: In January 2004, outbreaks of highly pathogenic influenza A (H5N1) in Asia were first reported by the World Health Organization. Visit the Avian Influenza section of the World Health Organization Web site for more information and updates.